It's developed by Taylor Otwell. Laravel is PHP framework, which is used to create different and unique web applications. Laravel is PHP framework for application development. Laravel is a free, open source framework to create web application or website. User / developer can made any type of web application or website. Laravel app development framework saves time; give fewer efforts with maximum optimization and customization work results. Till now Laravel framework lunches their many versions let’s go through one by one. Extendibility of modules and libraries. Due to remain the most required and frequent factors; Laravel released next read me file on 24th Nov, 2011; which is the second upgraded version of Laravel framework for web app development. Behind this, aim is to give more simple and expressive code. So, developer can get more creative ideas to create unique and beautiful web app. After getting huge response, Laravel needs to give love in returns to the users of Laravel framework. To provide more and much extra facility they released their third edition of version on 22nd Feb, 2012. The most stable and solid features are there. Comes with new and fresh updates, Laravel released 4th version on 28th May, 2013 for highly optimize and extraordinary web app. Tough to migrate of different versions. And the last all required things are available in newer version of Laravel framework. i.e. : Most upgraded Laravel version – 5 released on 7th March, 2015; with MIT license, used by the user and developers. Because, it have ultra - modern and newest facility to build often useful and creative web app. Provide full custom authentication to developer, for creating big web application. 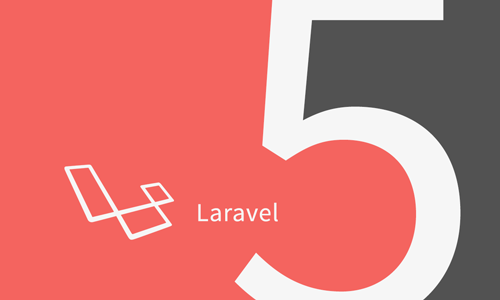 5 reason why we should use the Laravel framework for web app development? Laravel gives a fantastic reason to stick to use the Laravel as compare to other frameworks. Let’s see the challenges of Laravel which provide to user/developer. Laravel is written in PHP 5. And it is free or open source PHP web application framework. So, it saves money. Don’t you think that it is basic advantage of Laravel? And it is mean a lot as financial. High level: though it is free, Laravel loves to provide strong security to user. Authentication level is very simple. In fact, each thing considered as out of the box. Also provide eloquent authentication driver or use database authentication driver. Give a validating user credentials without login. CSRF Protection – Cross – site request forgeries. Current version: 5.1.6 is current version of Laravel Web App. Framework. Eloquent ORM: Eloquent ORM is Object Relational Mapping. It is used for the mapping a databases. From older version to newer version. Each database table have equivalent model to interact with the particular table. Database connection is must be in start mode. Laravel framework is most simple and comes with the mature-able way. Laravel gives basic idea from the help file. Simple syntax with easy understandable manner. So, We happy to recommend & suggest to use the Laravel framework to desired output and Laravel is seems to be the hottest now a days so it will be more preferable to use such a web – app development framework. Till the last Laravel is excellent PHP framework; and followed by other PHP framework such as Phalcon, Symfony2, & CodeIgniter.